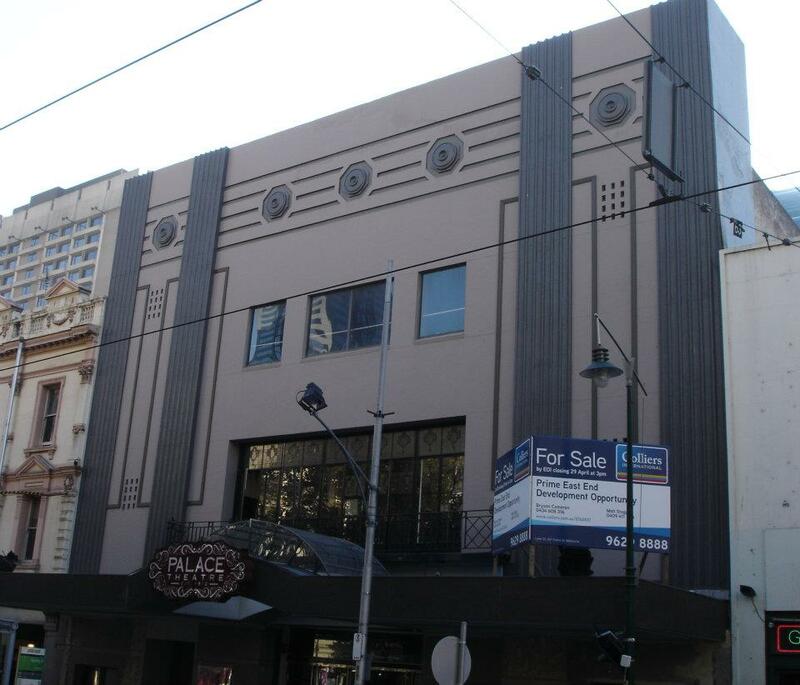 Melbourne Heritage Action was extremely concerned about the fate of the heritage theatre and important live music venue the Palace/Metro Theatre at 20-30 Bourke St in the CBD. On Friday The Age reported plans to completely demolish the building and replace it with a luxury hotel and apartments ‘Tower plan could doom iconic music venue’. We were pleased that Planning Minister Matthew Guy was on the TV news on Saturday night stating unequivocally that he would not approve high-rise in the Bourke Hill precinct. However, MHA believes the interiors still urgently need to be listed. The building is listed by the National Trust as significant at the Regional level for architectural and historical reasons (link to National Trust listing here). Built as a theatre in 1912, the interior was remodelled in 1916 and in 1923 by theatre architect Harry White (who also designed the Palais, and the interiors of the Princess and Athenaeum theatres). Though the façade is a 1950s version of Art Deco, it does contribute to the low-rise, largely heritage, streetscape in this area. More importantly the foyers, the balconies and ceiling decoration are mostly from around 1916 and remain intact. MHA is calling for the urgent heritage listing of the interiors of this building. Low. 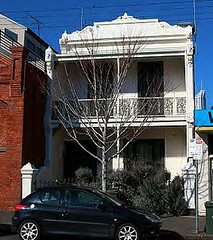 The building is within a Heritage Precinct but the exterior has only low grade protection and interiors are not protected. 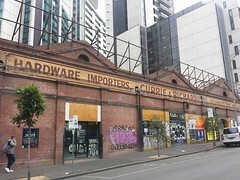 Height limits apply but the permit granted to the Halim group for their redevelopment of the Windsor Hotel may have set a dangerous precedent in the area. Comments from the current planning minister about sticking to height limits are reassuring. The Palace Theatre is widely recognised as a key live music venue in Melbourne. In the 1987 it opened as one of Melbourne’s major nightclubs – you can watch a video of the opening here on youtube (link thanks to @leighpa on twitter). 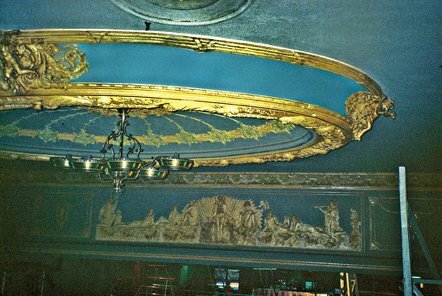 And another documentary below tells colourful history of the building from Edwardian theatre to cinema to revivalist church to nightclub to its latest incarnation as the Palace Theatre.